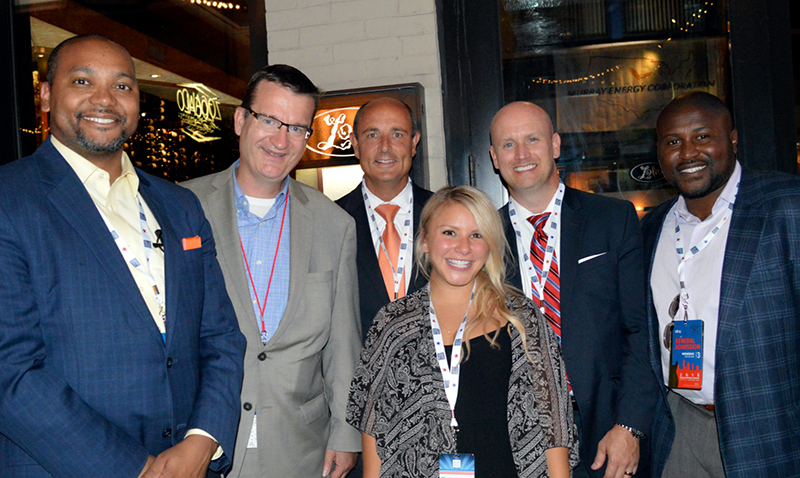 Note: As a part of its Government Relations Legal Practice, Kegler Brown sends attorneys to participate in a variety of events at both major-party conventions. At the Republican National Convention in Cleveland, much more went on than was covered by CNN, MSNBC or Fox News. The Kegler Brown team spent most of its time interacting with the Ohio Delegation during those times when the Convention was not in session. The Ohio Delegation hosted Speaker Paul Ryan for one of its breakfasts. The Speaker demonstrated his best-of-show rhetorical skills. In a 15-minute extemporaneous speech, he made the most compelling case for supporting Donald Trump that the Ohio Delegation heard all week. It was rooted in policy and captivated the breakfasting crowd. His charisma and podium skills combined with his ability to present grounded arguments that emphasize policy will draw plenty of attention Ryan’s way in the next couple years. There were palpable tensions between the Ohio Republican Party and other states’ party organizations. The escalating feud between Governor Kasich and Donald Trump caused many Ohioans attending the events to feel unwelcomed in their own state. This has raised some concerns over what roles, if any, Ohio Republicans might fill in either new administration. Interestingly, this may explain why the focus of many convention attendees from Ohio seemed to be on slightly further in the future. There is no question that the Ohio Republican Party is motivated to deliver results in the November election; however, the race they are passionate about is not the presidency; it is the race for the United States Senate. Senator Rob Portman is extremely popular among Ohio’s party faithful, but faces a strong challenge from former governor Ted Strickland. Portman has earned numerous endorsements from local groups throughout the state, outpaced his opponent in fundraising and garnered national recognition for running a strong campaign. However, there are still concerns over how effective his campaign can be, depending on who turns out in Ohio to vote in the presidential election. Governor: Ohio Attorney General Mike DeWine, Secretary of State Jon Husted and Lieutenant Governor Mary Taylor are all, in effect, running for governor. All were very visible during the Ohio Delegation events in Cleveland. Auditor: Ohio Senate President Keith Faber appears to be positioning himself well to be the leading candidate for the party. Franklin County Auditor Clarence Mingo could run for this office as well. Attorney General: Ohio Auditor Dave Yost appears to be in a leading position to be his party’s candidate. Secretary of State: State Senator Frank LaRose of the Akron Area and State Representative Dorothy Pelanda of Marysville are both vying to be their party’s nominee. Treasurer: Franklin County Auditor Clarence Mingo is probably in the best position to be the GOP nominee for this statewide post; however, Representative Bob Sprague of the Findlay area is also considering a run for this position. US Senator: Ohio Treasurer Josh Mandel is seeking a second opportunity to go head to head with Sherrod Brown. The two were previously opponents in 2012. However, Congressman Pat Tiberi, a close ally of Governor Kasich, positioned himself well with Ohio Convention attendees as a viable Republican candidate for the job. Lieutenant Governor: Because candidates for governor and lieutenant governor run as a team, the identification of lieutenant governor candidates typically occurs late in the positioning process. Possible candidates include anyone who is talked out of running for any of other statewide offices. Also, Speaker Cliff Rosenberger (who is term-limited and cannot run for reelection in in 2018) could make a foray into a statewide candidacy. Ohio has a number of important elections upcoming, and after spending the week at the Republican National Convention in Cleveland, it’s clear that the party has plenty to keep it busy for the next couple years. While the 2016 elections will clearly impact Ohio, it’s 2018 that may be even more important. Ohio voters and businesses alike would do well to pay attention to them, learning about and building relationships with the emerging candidates. This was Part 1 in a pair of articles about Kegler Brown’s attendance at both major-party conventions. Coming soon, Part 2 will look at events and issues from the Democratic National Convention and their significance to Ohio.